BRENTON, EDWARD BRABAZON, lawyer, politician, judge, and office holder; b. 22 April 1763 in Halifax, only child of James Brenton* and his first wife, Rebecca Scott; m. 13 Jan. 1791 Catherine Taylor in Halifax, and they had one daughter; d. 11 March 1845 in Royal Leamington Spa, England. As the eldest son of a man who was to become Nova Scotia’s solicitor general, attorney general, and assistant judge of its Supreme Court, Edward Brabazon Brenton seemed destined for a career at the bar and on the bench. He studied law at Lincoln’s Inn, London, to which he was admitted on 30 Oct. 1781, but he did not become a member of the English bar. Brenton was admitted to the Nova Scotia bar on 5 April 1785, and began practising in Halifax. He was probably one of the two “young gentlemen” who in 1790 acted as attorneys to James Brenton and Isaac Deschamps* when they were impeached by the House of Assembly during the so-called “judges’ affair.” In December 1792, bearing testimonials from Lieutenant Governor John Wentworth* and from Chief Justice Thomas Andrew Lumisden Strange, who had early marked him as “in all respects deserving of future attention,” Edward Brenton went to England to solicit appointment as judge advocate of the Nova Scotia military district; he received it the following March. In July 1799 the Duke of Kent [Edward* Augustus], commander-in-chief of the forces in British North America, advanced him to the newly created position of deputy judge advocate general for British North America. As early as 1792 Wentworth had predicted that Brenton might enter the assembly, where his father had sat for 14 years. The younger Brenton was overseas when the house was dissolved in January 1793, however, and could not stand for election. He remained high in the esteem of Wentworth, who in 1802 recommended him for a seat on the Council. The appointment was made on 13 June 1805 but Brenton took his seat only after the death of his father in December 1806. James’s position on the Supreme Court did not devolve to his son. It went instead to Brenton Halliburton*, a cousin of Edward’s who was some 18 years his junior at the bar. In March 1808 Brenton was appointed a master extraordinary in the Court of Chancery, and in January 1810 he was made both a revenue commissioner and surrogate to the judge of the Vice-Admiralty Court by Wentworth’s successor, Sir George Prevost*. The following year his career in Nova Scotia came to an end. He attended his last Council meeting on 16 Aug. 1811, and nine days later he embarked with Prevost for Quebec. During Prevost’s term as governor-in-chief and commander of British forces in North America Brenton served as his civil secretary, replacing Herman Witsius Ryland, and his aide-de-camp. He seems to have accompanied Prevost to England upon the latter’s recall in 1815, and to have spent the next decade there. It is difficult to elaborate upon this period of his life. He was superannuated in 1817 after the office of deputy judge advocate general was discontinued. When Prevost’s conduct during the War of 1812 was traduced in an article in the Quarterly Review (London) of October 1822, Brenton wrote an anonymous reply. 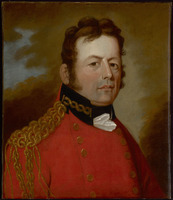 Some account of the public life of the late Lieutenant-General Sir George Prevost was a mundane apologia which did nothing to enhance Prevost’s posthumous reputation. In 1825 Brenton returned to British North America when the new governor of Newfoundland, Thomas John Cochrane*, brought him along as colonial secretary. A year later an assistant judge of the Supreme Court was forced to resign, and Brenton was appointed to succeed him. Beginning in October 1827 he acted on two occasions as head of the court while the chief justice, Richard Alexander Tucker*, administered the government during Cochrane’s absence. Already over 60 years of age when he arrived in St John’s, in 1838 Brenton was forced by ill health to take a leave of absence. A reputation as a philanthropist and an assiduous judge remained behind him in Newfoundland. He would retain the judgeship until his death, when he was replaced by George Lilly. Brenton’s diverse career as a public servant in British North America had spanned almost half a century. On his return to England he retired to Royal Leamington Spa, where he lived out the final seven years of his life. 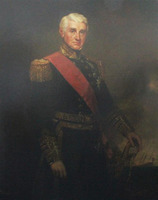 Edward Brabazon Brenton is the anonymous author of Some account of the public life of the late Lieutenant-General Sir George Prevost, bart., particularly of his services in the Canadas . . . (London, 1823). Honourable Soc. of Lincoln’s Inn (London), Reg. of admissions, 30 Oct. 1781. PAC, RG 7, G15C; RG 8, I (C ser.). PANS, RG 1, 172: 173; 173: 3–4; 192: 21, 152; 525, pt.iii: 41. PRO, CO 217/36: 143; 217/76: 100–1; 217/80: 255; PROB 11/2013; WO 85/2, 27 March 1793; 85/3, 19 July 1799. St Paul’s Anglican Church (Halifax), Reg. of baptisms. Gentleman’s Magazine, January–June 1845: 565. Nova-Scotia Magazine (Halifax), 2 (January–June 1790): 457. Newfoundlander, 1 May 1845. Royal Gazette and the Nova-Scotia Advertiser, 18 Jan. 1791. Encyclopedia Canadiana. G.B., WO, Army list, 1817–18. N.S. vital statistics, 1769–1812 (Punch), no.199. The book of Newfoundland, ed. J. R. Smallwood et al. (6v., St John’s, 1937–75), 5: 545. Prowse, Hist. of Nfld. (1895), 662. J. B. Cahill, “BRENTON, EDWARD BRABAZON,” in Dictionary of Canadian Biography, vol. 7, University of Toronto/Université Laval, 2003–, accessed April 24, 2019, http://www.biographi.ca/en/bio/brenton_edward_brabazon_7E.html.